The FreshWaterAg+ continuous silver ion purifier further reduces the need for chlorine by introducing silver ions into the spa water that inhibit bacterial growth. 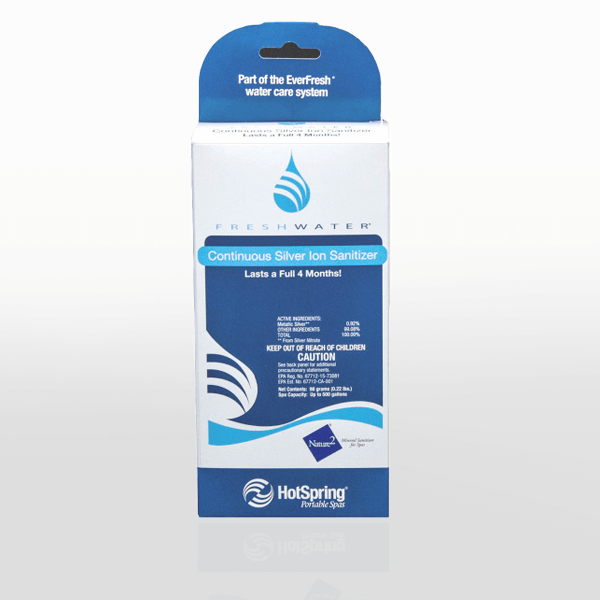 Insert the cartridge into the filter of your Hot Spring® spa and the silver ions are released automatically — there's no chance of under or over-dosing. Simply replace the cartridge every four months.